Vineyards Of Fall Creek - Large laundry room on main with cabinets & sink. Inspection already completed 3/21/19! MLS#21632008. CENTURY 21 Scheetz. 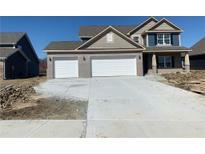 Westbrooke At Geist McCordsville - New Construction complete in April 2019 MLS#21632005. Ridgeline Realty, LLC. Masthead Geist - This home also has a 3-car garage, custom glass front windows, decks on all levels, 2 boat docks w/ shore station & Owens Corning 50-yr shingles. MLS#21631598. CENTURY 21 Scheetz. Masthead Geist - Come see - this one definitely raises the bar! MLS#21630410. F.C. Tucker Company. 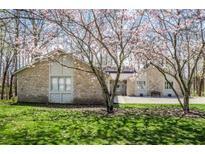 Springs Of Cambridge McCordsville - This home offers so much all in the award winning HSE school district, close to shopping, churches and Geist Reservoir. MLS#21630101. F.C. Tucker Company. Springs Of Cambridge McCordsville - Highly Rated HSE Schools. FANTASTIC HOME! MLS#21631151. RE/MAX Realty Services. Feather Cove - Amazing outdoor living with the deck, screen porch and in-ground pool! MLS#21631593. F.C. Tucker Company. Feather Bay - This Home Has been Lovingly Maintained (Update List Attached) and You Won't be Disappointed. MLS#21631041. Berkshire Hathaway Home. Springs Of Cambridge McCordsville - The Backyard Is Fully Fenced And Offers A Large Wood Deck, Patio & Pool & Is Nicely Landscaped! MLS#21626735. Apter Properties, LLC. Masthead Geist - Don’t pass up the opportunity to own this masterpiece! MLS#21631104. F.C. Tucker Company. 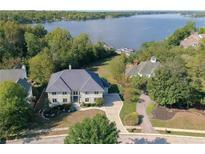 Masthead Fishers - Bath rough-in in basement, Dock located off Fall Creek and Geist Rd with electric lift. MLS#21629494. Highgarden Real Estate. 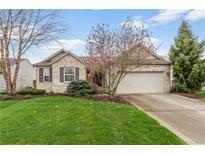 Oakland Hills At Geist - Truly a solid complete home on a great street in Oakland Hills, don't miss it! MLS#21630543. ERA Real Estate Links. Westbrooke At Geist McCordsville - Photos shown may be an artist rendering, model home, or of the same model. MLS#21630809. CENTURY 21 Scheetz. Westbrooke At Geist McCordsville - Photos shown may be an artist rendering, model home, or of the same model. MLS#21630822. CENTURY 21 Scheetz. Westbrooke At Geist McCordsville - Photos shown may be an artist rendering, model home, or of the same model. MLS#21630829. CENTURY 21 Scheetz. Westbrooke At Geist McCordsville - Photos shown may be an artist rendering, model home, or of the same model. MLS#21630814. CENTURY 21 Scheetz. Westbrooke At Geist McCordsville - Photos shown may be an artist rendering, model home, or of the same model. MLS#21630819. CENTURY 21 Scheetz. Westbrooke At Geist McCordsville - Photos shown may be an artist rendering, model home, or of the same model. MLS#21630827. CENTURY 21 Scheetz. Westbrooke At Geist McCordsville - Photos shown may be an artist rendering, model home, or of the same model. MLS#21630771. CENTURY 21 Scheetz. Westbrooke At Geist McCordsville - Photos shown may be an artist rendering, model home, or of the same model. MLS#21630788. CENTURY 21 Scheetz.